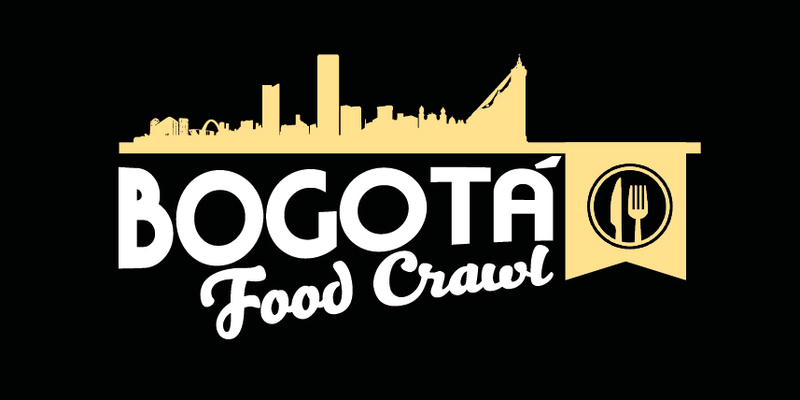 Delicious food tour in Bogotá! Enjoy a gourmet tour in La Macarena, Bogota’s bohemian and artistic neighborhood, visiting little charming restaurants. You’ll be picked up and head to Bogota’s bohemian and artistic neighborhood, La Macarena. La Macarena is famous for being one of the most important gastronomic spots in the city, where you can find little charming restaurants, serving food from all over the world. Here you are going to visit three of the best restaurants in the neighborhood, enjoying different types of cuisine. At each restaurant you’ll try a tasting dish, choosing from several options and a beverage. In most of the restaurants you’ll get the chance to try different dishes, so you can experience different flavors, while a culinary expert explains the dishes. Pair the food with your favorite beverage, you’ll be able to choose from fresh natural juices, beers or wines. Tour available from Monday to Saturday. Hotel pick-up start at 7pm approximately. Visit to 3 restaurants in La Macarena neighborhood. Tasting dish and beverage at each restaurant. Hotel pick up and drop off. 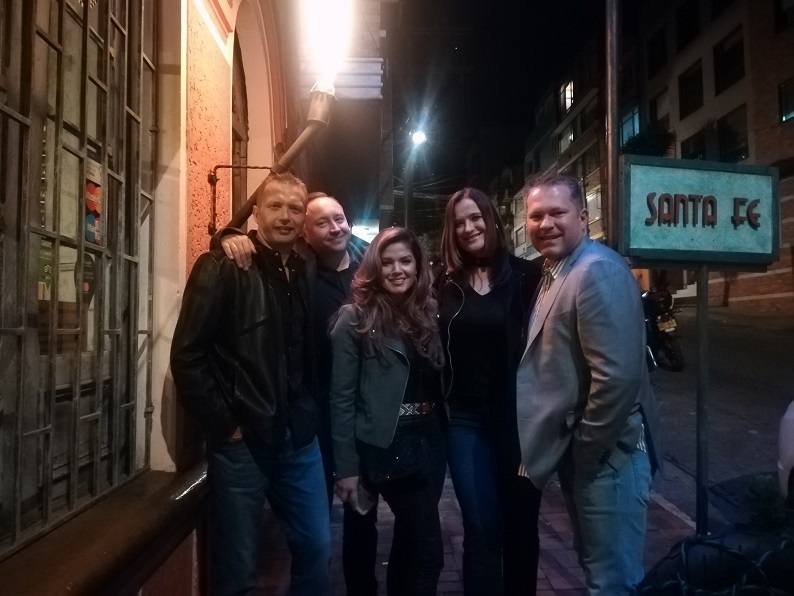 Had two tours with Lina, The Bogota Historical Tour and the Restaurant Crawl in La Macarena. I've taken many tours all over the world and I can honestly say this was one of the better one! The food on the restaurant crawl was amazing! Be prepared to gain a pound or two, plus what makes the tour so interesting is interacting with different people who are equally passionate about food and culture. During my stay in Bogota I booked both, the pub crawl and the reataurant tour in La Macarena. Both plans were simply amazing, great spots to have a better sense of the city and a very nice guide, Lina, that knows how to make you feel comfortable and has very interesting facts about the city and its people. This is a very interesting and safe way to move around Bogota and get a real sense of what the city is about. 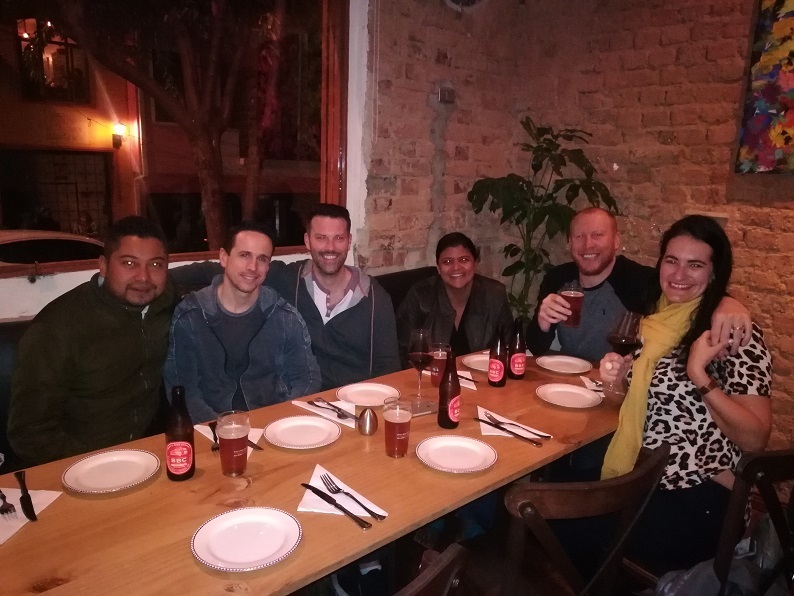 We were three persons going on this tour with our wonderful guide, Lina, and we all enjoyed the evening very much.We visited three different restaurants, all with excellent food and atmosphere. What really made the trip special and a lot of fun was our guide Lina. She speaks good English, she knows Bogota very well, she is generous and gives good and interesting information, both about the food and about life in the city. We highly recommend this tour and we advice you to ask for Lina to be your guide. I cannot say much about the places we visited or post pictures because I will ruin the surprise, I can only say that this is one of the best food tours I have ever taken, and I have been in quite a few. Lina is amazing, super fun, enjoys what she does and the food is OMG, to die for. You will not be disappointed. This tour fulfilled all our expectations and was well worth the price! Lina's english is very advanced and we had easy flowing conversation with her all night. She picked us up from our hotel very punctually and we were off to our first restaurant of three. We really enjoyed being able to see a neighborhood of Bogotá that we would have never had the opportunity to visit and explore otherwise. 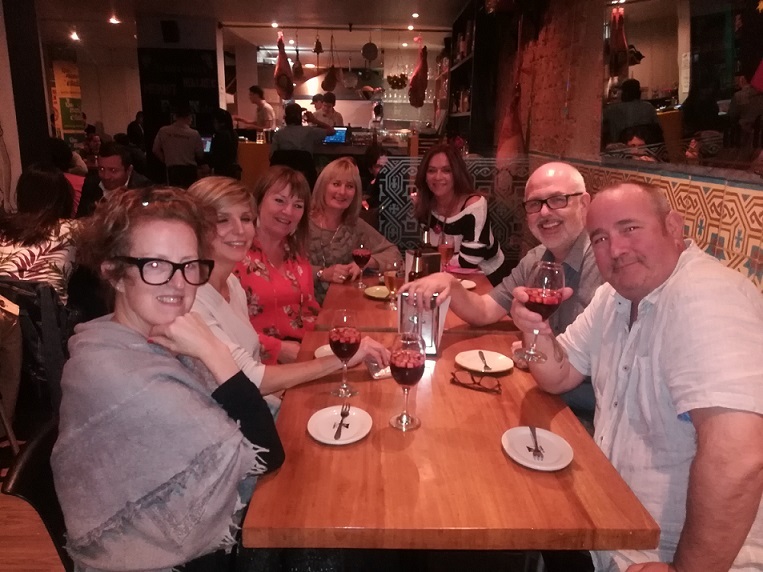 All the food was great and we were very excited about having choices at all the restaurants instead of a set menu as well as being able to choose between fruit smoothies, sangria, beer, or wine at the different locations. We learned so much from Lina about all of Bogotá, Colombia, and South America in general. Besides being super informative she also went above and beyond the job description by offering up recommendation of places to go afterwards. Overall I highly recommend this tour for anyone wanting to eat good food with even better company.